New housing permits increased more than expected in July to an annual rate of 812,000 units. 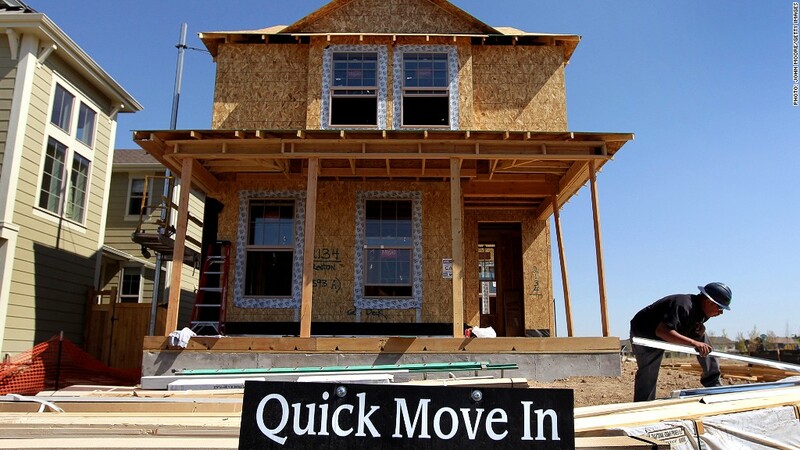 Home construction, a key component in any U.S. economic recovery, is picking up. Building permits rose 6.8% to an annual rate of 812,000 permits in July, the highest rate in four years, according to a Census Bureau report issued Thursday. The number was up 29.5% compared with July 2011. The number came in unexpectedly high. A consensus of industry experts had forecast that the permit rate would be about 750,000 for the month. Housing starts declined 1.1% in July, but were up 21.5% year over year. The uptrend in home construction, especially in building permits, is welcome news for the beleaguered housing industry. Builder confidence is inching up slowly, according to David Crowe, chief economist for the National Association of Home Builders. "If you're looking into the future, permits are a truer picture of the market," he said. "They're less volatile than starts." The improvement could also be a shot in the arm for the overall economy. Home building is a labor-intensive industry that provides good-paying employment for legions of blue-collar workers, many of whom have been out of work frequently since the housing bust began. Not only are there many jobs created on site for masons, carpenters, plumbers and other trades, but it puts people to work in factories making building materials, appliances, home furnishings and other goods. Crowe estimates that three jobs are created for every new home built.